We are now in the second stage of the process of producing the documentary. All footage has been filmed. Now it is time for the task of editing, choosing the perfect music, and making sure it all lines up and the message gets out there. You may or may not know about my book, "From Stage IV to Center Stage" published in 2011. It has been an inspiration to people all across the country. is to get this documentary produced. We have all been touched by this dreadful disease. I believe we all need to come together to do all we can to help this community find ways to cope, learn and heal. I am counting on you and anyone else you know to help support this project by donating to help us reach our goal of $35,000 in order to get the final steps completed. Every dollar you donate is tax deductible through the Arts & Education 501c3. You will recieve a receipt for your tax-deductible donation. In 2005 I was diagnosed with Stage IV throat and neck cancer. I was given three months to live. I am humbled and grateful to be alive. My ability to "Befriend" cancer and learn what it came to teach me, as opposed to "Battling" cancer, were the greatest contributors to my survival. At the time of diagnosis I was told, should I live, I may never sing again. Well...Just 22 months post diagnosis (June, 2007) I sang the National Anthem before a sell-out crowd of 37,000 Red Sox fans at Boston's Fenway Park. It was thrilling! It was a fabulous platform for me to inspire thousands of people in just a few moments. Almost ten years later people still seek me out to help either themselves or someone they know dealing with cancer because they remember that night at Fenway. Since the time Richard Nixon declared war on cancer in 1971 the rate of cancer has almost tripled. We refer to everything having to do with cancer as a "battle." This milataristic metaphor might be helpful to some but it may not be the best metaphor for others. 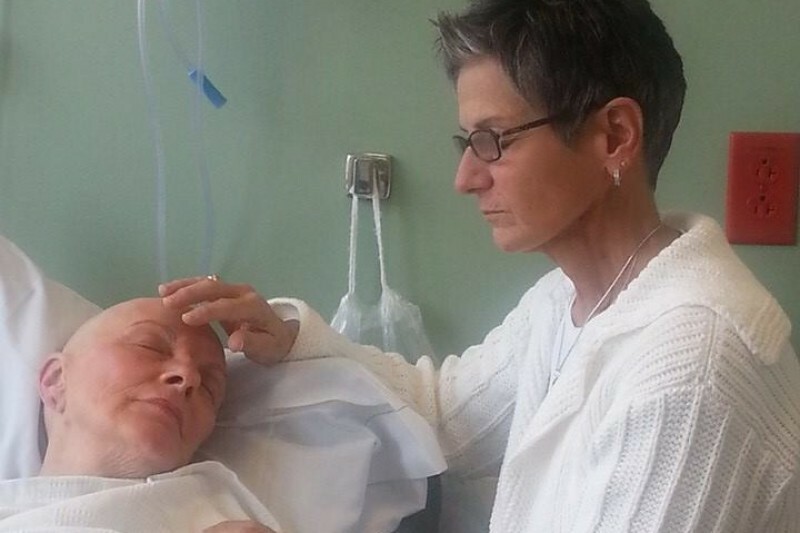 A cancer diagnosis is stressful. Using all your energy to fight, taxing your adrenal glands and every other part of your body, is not the best use of limited energy. Because of our media and medical profession cancer patients are not always aware of another option than battling. I feel there is another metaphor, actually maybe a few different metaphors, that are more aligned with the individual dealing with cancer. The only way to heal is to find ways to relax and let the body heal. Fighting against something means there is a winner and a loser. At the time people are diagnosed there is so much stress being told they have to fight adds more stress. There is so much new information to share on every level: mentally, emotionally, spiritually and physically around cancer and it needs to be front and center from someone like me who has lived through it. There are no documentaries out there with a story like mine. There are no documentaries out there that teach people how to relax by using different modalities like Sound/Vibrational healing, Reiki, Reflexology, Meditation and many others to help them wend their way through the process with more ease and grace. The most important aspect of healing is finding a way to homeostasis especially during a stressful and choatic time. This documentary will be a gift to the cancer community. It will be a tool that patients along with their caregivers can use during their journey and long after. I am excited about getting this out by the end of this year and we need your help. Please help me help many? Take a few minutes to donate. Any and all support is greatly appreciated. There is no amount to small. There is no amount to great. May it return to you ten fold. We had a great time last Saturday at the studio in Danvers filming the second to last filming for the documentary. Marsha and I had fun chatting about the craziness of the PMC ride of 2005. Signed copy/DVD. Signed copy of Denise's book. "From Stage IV to Center Stage." Signed copy/DVD, Your name appears in the movie credits. Special invitation to the movie premier. Denise has been my Spiritual food and I'd love to help give back.